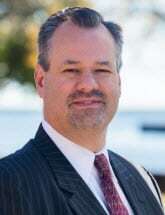 Attorney D. Tyler Fellows is a partner in the firm and received his undergraduate degree from Valparaiso University, Indiana, and his law degree from Valparaiso University School of Law. Attorney Fellows is a member of the American Bar Association, the State Bar of Wisconsin and the Manitowoc County Bar Association. He also serves on the Board of Directors for the Manitowoc County Domestic Violence Center, the Shipbuilders Credit Union and Lakeshore Investment & Tax Service. Prior to partnering with attorney Alpert, attorney Fellows worked in the Winnebago County District Attorney's Office and also worked in the areas of insurance subrogation and personal injury in Milwaukee. Attorney Fellows has handled numerous personal injury cases, including ones that have been featured in Verdicts & Settlements. He has also been a guest lecturer for the civil litigation courses for both Lakeshore Technical College and Moraine Park Technical College.